Are you planning to have a social get-together at your apartment in Wilmington? If you don’t feel like doing a full dinner affair, it can be a lot of fun to serve just a wine and cheese course. 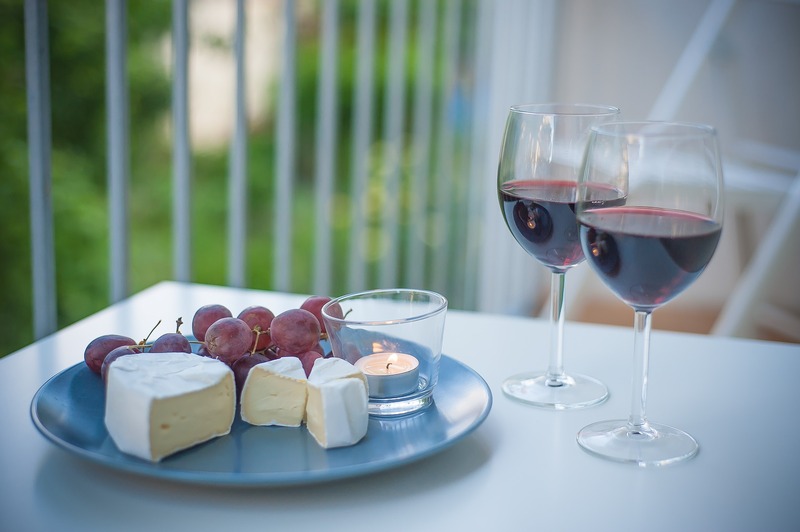 However, being sure you've paired the right wine and cheese can make the difference between a successful event and an unsuccessful one. We’ve put together a few ideas here for pairing cheeses with red wine. Extra Sharp Cheddar: This is a simple pairing that makes perfect sense. The bold, strong flavor of an extra sharp cheddar complements a full-bodied, dry, red wine perfectly. Think about cabernet sauvignon as your wine option, though nearly all reds will do. Jalapeno or Pepper Jack: The warm pepper flavor will bring out the warmth of your wine. This may pair especially well with something like a merlot, which has an almost cherry-like aftertaste. Plus, there is just something fun and different about eating a pepper jack cheese when compared to the other options. Goat Cheese or Feta: A light cheese like this needs a light wine. One of the lightest reds is pinot noir. You may wish to utilize these softer cheeses as a spread or with olives to avoid having them sit too heavy on the stomach, but otherwise, they make a great pairing and a nice change from heavier options. Gouda: Gouda is always a good go-to when it comes to serving cheese in an entertaining setting. Almost everyone likes it, and it can be enjoyed alone or with crackers. This is another cheese that pairs well with merlot too, which is also a popular wine selection. Offering this as an option is sure to please most of your wine- and cheese-loving friends. Having your own space to enjoy quiet nights in is so important! If you’re looking for the perfect place to call home, check out our currently available apartments in Wilmington at Cypress Pointe. We offer different floor plans to meet the needs of many prospective residents.